With Easter right around the corner, wouldn’t it be lovely to sew a dress for the special little one in your life? The Geranium Dress is a sweet and extremely adaptable dress with two views. 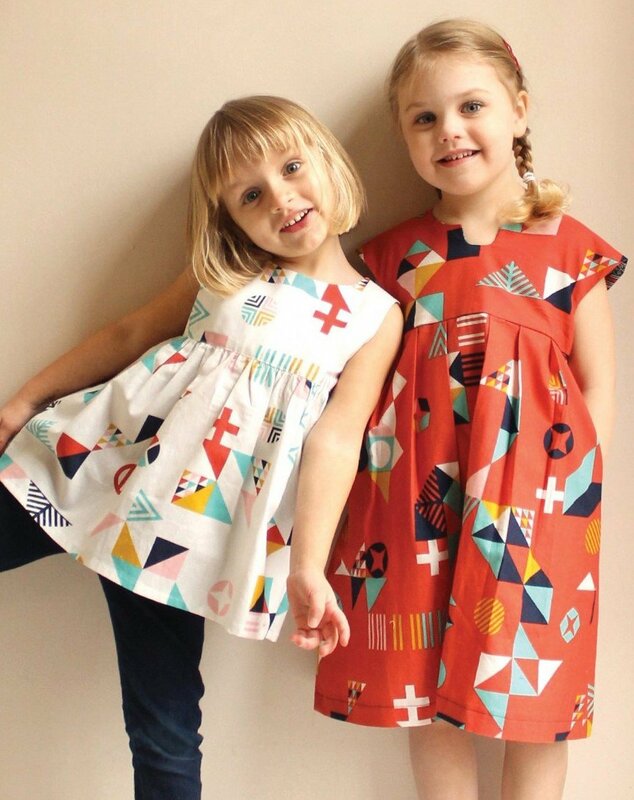 We love that the pattern comes in sizes 0-5T and 6-12. Grab the expansion pack to create different collars, bows and utilize different closures. We can guarantee that you will make this over and over again, so join Chris as she walks you through this dress. Requirements: To get the most out of your class experience, be sure to have your supplies and preparation done before the class starts. Many classes that require groundwork will have a supply list that will be available online or in our shop at least two weeks prior to your class. In addition, your instructor will email you a week in advance on preparation expectations. Please trace garment patterns and have your fabric pre-washed for garments prior to class. If you need help with sizing and/or layout then schedule a time with us or come during our sewing studio.